Interested in Laguna Beach hiking? Coto De Caza drivers are aware that Laguna Beach is largely known as a beach town, but there are plenty of hills and climbs that lead to spectacular views. Discover the best Laguna Beach hiking trails with Jaguar Mission Viejo! Head to Laguna Coast Wilderness Park, and you’ll find more than 40 Laguna Beach hikes across 7,000 acres of coastal wilderness preserve. One highlight is the Laurel Canyon Trail, and make sure to keep an eye out for wildlife and wildflower blooms! Take advantage of beaches and tide pools while out on a Laguna Beach hike at Crystal Cove State Park. Set out on the 5-mile El Moro Canyon Loop Trail for gorgeous coastline views, and when you’re done, consider mountain biking, horseback riding, or scuba diving in offshore waters! Escape Irvine and get out to Aliso and Wood Canyons Wilderness Park, which offers more than 30 Laguna Beach hiking trails. Here, you’ll be able to explore across over 4,500 acres of open space and wilderness. One of the best hikes in Laguna Beach is Top of the World, which provides panoramic views of rolling hills and the Pacific Ocean. Here, there are several trails that meander to Aliso and Wood Canyons Wilderness Park, into Laguna Beach, and around surrounding neighborhoods. 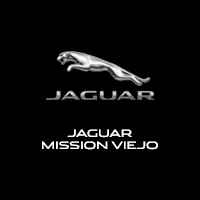 Explore the Great Outdoors with Jaguar Mission Viejo! Keep in touch with Jaguar Mission Viejo to stay up to date on all things local and for answers to important automotive questions, such as whether it’s illegal to drive barefoot in California. Our team is here to serve in whatever way we can! Did some of the best hikes in Laguna Beach miss our list? Let us know by contacting us today. Is It Against the Law to Drive Barefoot in California?